Rules Guy: Can I fix an aeration hole on the green before putting? If my putt settles in an aeration hole on the green, can I fix the hole before putting, or is a local rule required? —CHARLIE DAILY, VIA E-MAIL Sorry, Charlie. Players may only repair damage caused by the impact of a ball or an old hole plug on the green. Repairing an aeration hole that your ball rests in puts you in breach of Rule 16-1c, with a penalty of two strokes (stroke play) or loss of hole (match play). 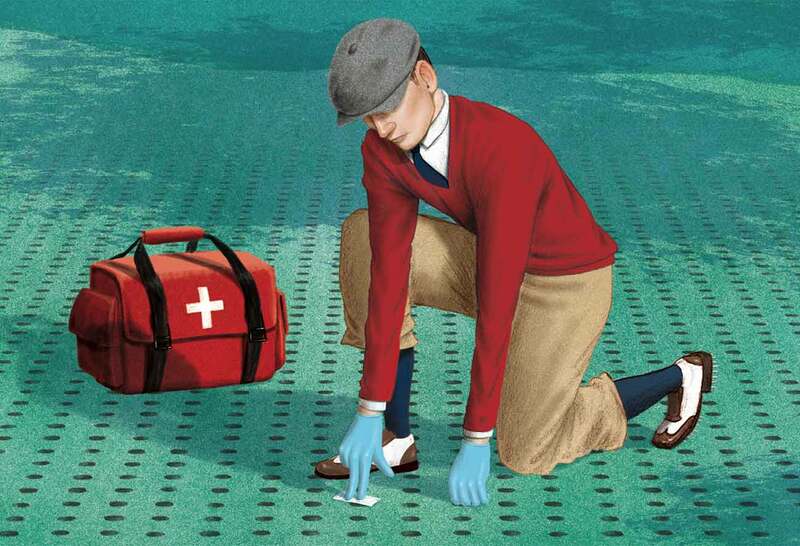 The relevant local rule doesn’t permit repairing the (aeration) hole but rather allows the player to place the ball in the nearest unaffected spot not nearer the (actual) hole. Holy cow, that’s a lot of holes (and parentheses)! I play a lot of golf away from my home course. Occasionally, when entering my score in GHIN, the scorecard’s rating and slope differ from the GHIN numbers. Should I use GHIN’s numbers or manually enter the scorecard’s? —CHUCK MENDELJIAN, TEMPERANCE, MICH. Golf clubs typically print thousands of scorecards at a time and surely prefer to work through this inventory rather than print new cards should the digits change. So GHIN is more likely accurate, but the smart play would be to check with the club for the current rating and slope. GOT A RULES QUESTION? Of course you do! Whatever it may be, send yours to [email protected] and the question may be answered in an upcoming issue of GOLF. Until then, play by the Rules! Be careful fixing those aerated greens!